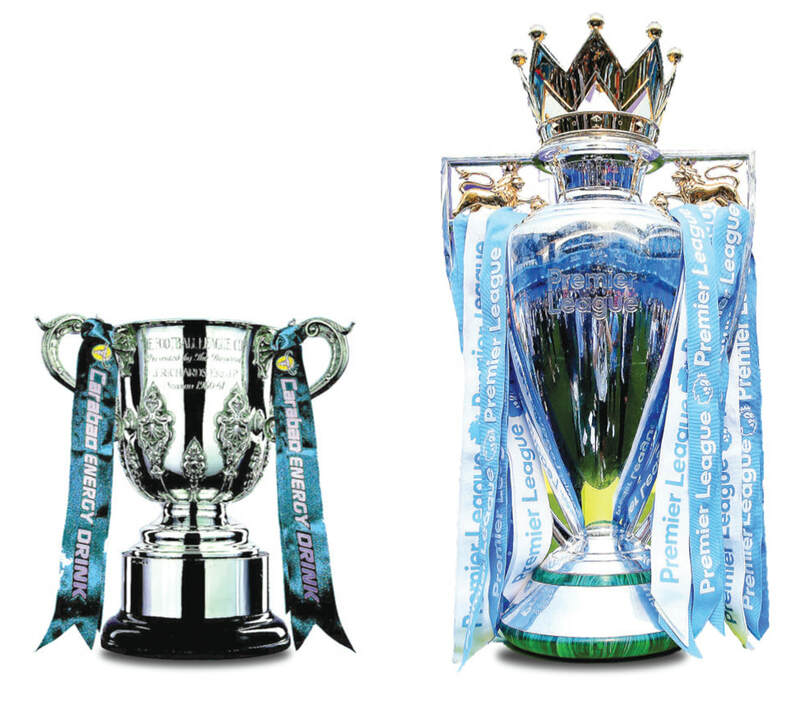 'Centurions’ is a piece of Manchester City history captured forever and one that will be a defining moment in the Blues history. 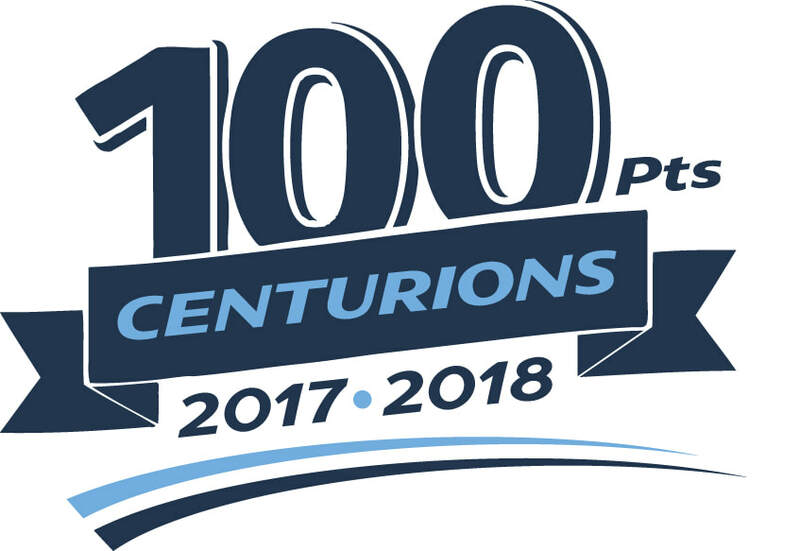 Created by a City fan, ‘Centurions’ is a unique piece of Manchester City art that celebrates City becoming the first team ever to reach 100 points in a Premier League season. City becoming the first team ever to reach 100 points in a Premier League season. Just like six years before, the 93rd minute had arrived! Gabriel Jesus, on as a substitute found enough space for Kevin de Bruyne to deliver one last moment of creative brilliance. 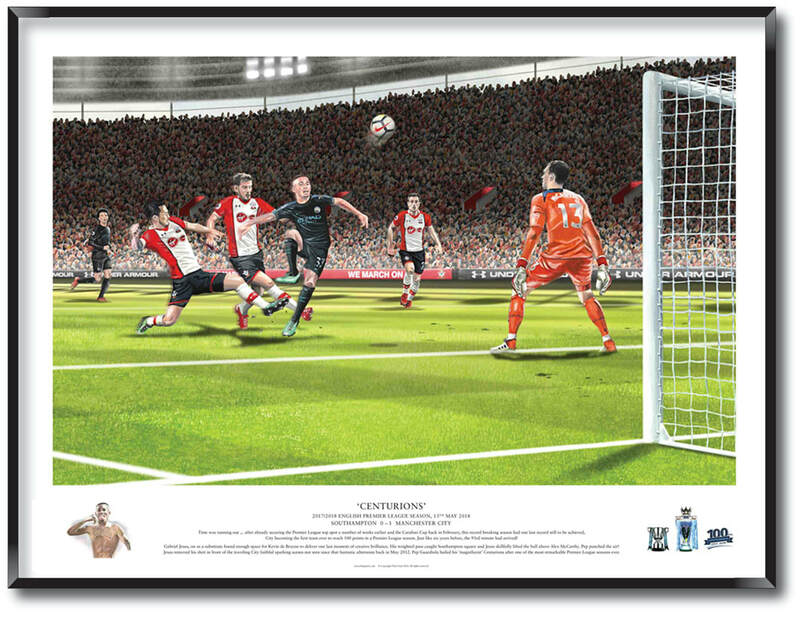 His weighted pass caught Southampton square and Jesus skillfully lifted the ball above Alex McCarthy. Pep punched the air! Jesus removed his shirt in front of the traveling City faithful sparking scenes not seen since that fantastic afternoon back in May 2012. 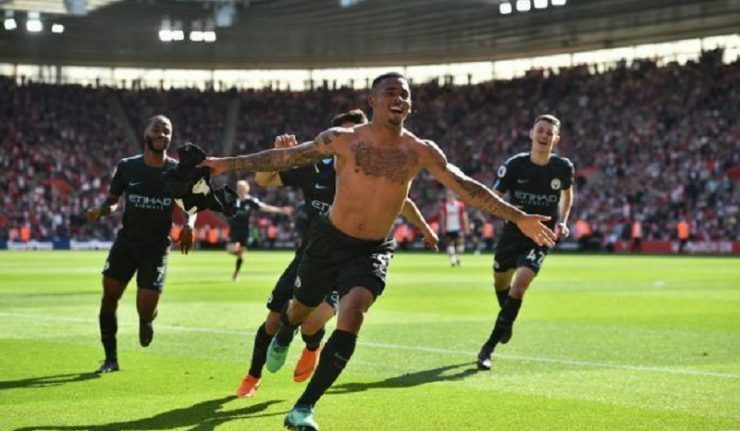 Pep Guardiola hailed his 'magnificent' Centurions after one of the most remarkable Premier League seasons ever.